Town in the province of Ravenna, located near the border with the territories of Bologna, Bagnara di Romagna is a splendid example of medieval "castrum", built in a plain, situated in the lowlands of Ravenna, where it is still possible to observe traces of the Roman centuriation (an antique system of farming land divisions), as well as relics from the Etruscan and the Villanova perods. Mentioned for the first time in a document of 855 as "Balnearia", when the fund was donated by the Duke of Imola Gisolfo to the Archbishop of Ravenna. 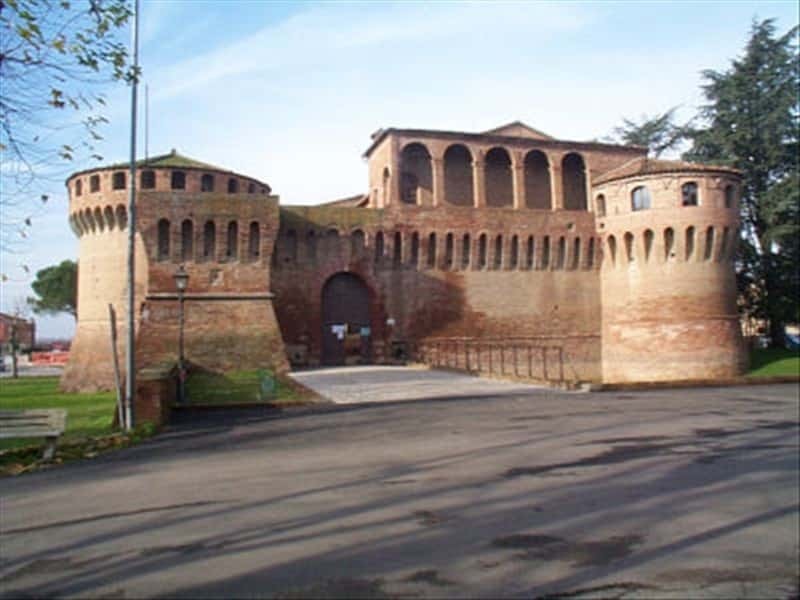 The ancient "castrum" was completely destroyed in 1222 during a clash between Faenza and Bologna. Over the later centuries, the town submitted the domain of several noble lords: the Uguccione della Faggiola, the Manfredi, the Ordelaffi, the da Polenta, the Sforza, the Malatesta and the Este. In 1482 the rule was assigned to Girolamo Riario, who took over after the death his widow Caterina Sforza. Later followed the periods of domain of the French, the Borgia and, finally, of the Papal States. - the Church of the Soccorso, built in the XVIII century and designed by Cosimo Morelli. This town web page has been visited 28,455 times.